Struggling to find good short hairstyles for square faces? Head this way, ladies! Sometimes it can be difficult to find age-appropriate short hairstyles for square faces. But when you finally get the right cut, it can take years off you, making you look fresh, youthful and on-point in the style stakes. As you age, your facial features and hair textures can change over time, so if you’re still sporting the same cut you did in your 20s or 30s, you may well find that you’ve outgrown it and that it no longer flatters the way it did before. Of course, the hairstyle you should opt for doesn’t just come down to your age, as the shape of your face also has a bearing on what might work best for you. 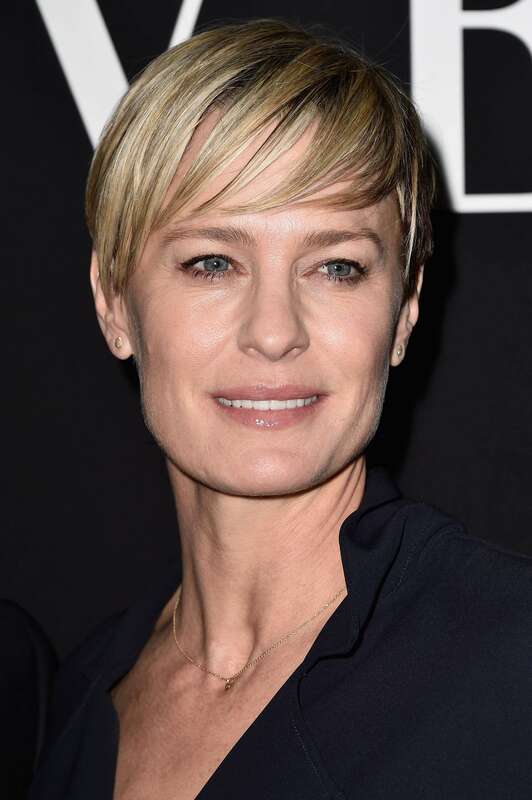 Which is why, to help you, we’ve created a useful guide listing 5 short hairstyles for square faces that are ideal for women over 40. Keep reading ahead to see what’s in store! If you’re tired of your long hair but aren’t quite ready for a dramatic chop, a long bob (AKA lob) makes for the perfect compromise. This relatively short cut is chic, sophisticated and ideal for women with square faces. Just remember that your long bob should stop between the nape of your neck and your shoulders for the most flattering results. Editor’s tip: to enhance the look and further soften your angular features, try blow-drying your hair using a round brush to add volume and soft, subtle textures. This flirty, fresh and super versatile hairstyle actually looks great on ladies of all ages. With plenty of movement, your layered bob should fall just below your jawline and can look even better when paired with a short, side-swept fringe. One of the main advantages of this look is that it’s super easy to style, so if you’re always short on time in the morning, this short hairstyle for square faces could be for you. A softly rounded, side-swept fringe is a great way to create a face-framing effect that helps to soften the angular features of square faces. And while it can inject youth and elegance into your everyday look, it can also complement a wide range of hairstyles, so a brief bob is definitely not your only option. A sheared, short tapered pixie cut is perfect for square-faced women, as the extra height on top helps to create the illusion of a longer, leaner bone structure. It’s also worth noting that if you have a square face, almost any pixie cut can complement its shape, just as long as the layers are soft and textured, rather than harsh and choppy. Short, effortless waves will instantly flatter and soften square faces. And the good news is that there’s no age limit to this playful look. When it comes to creating your waves, the trick is to start curling your hair about an inch from your roots to create a flattering and laidback beach look. One of the main advantages of this style is that it will instantly soften your angular facial structure, making you look and feel years younger instantly. Editor’s tip: want to recharge your hair and regain youthful fullness? Try the TRESemmé Youth Boost Shampoo (250ml, £5.99*) and TRESemmé Youth Boost Conditioner (250ml, £5.99*), this system is weightlessly infused with omega-3 and antioxidants, and recharges your hair with youthful fullness**, softness and shine. You can also treat the first signs of aging hair with the TRESemmé Youth Boost Fullness Emulsion Spray (£6.99*). It instantly lifts hair from the roots for 2x youthfully fuller, thicker looking hair***. ***Shampoo, conditioner and treatment vs. Unclean hair.